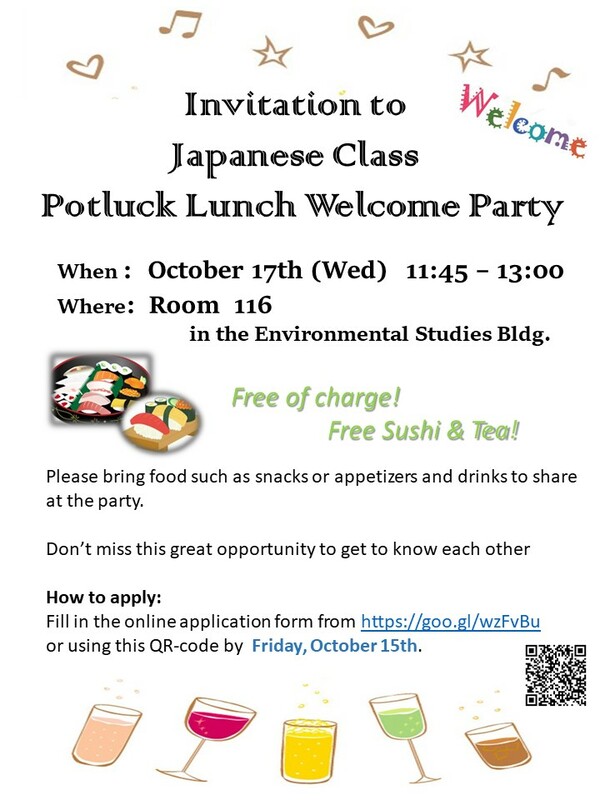 Japanese Language Course of GSFS will host a welcome lunch potluck party. Just join us! Fee ：Free　*Bring foods, snacks, drink to share! !